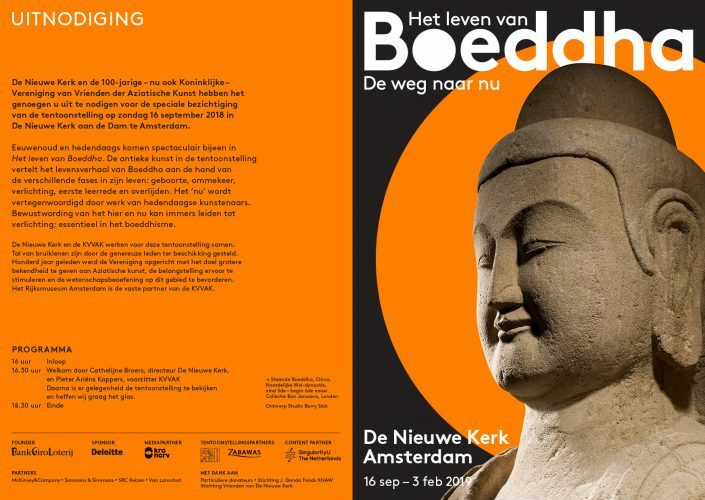 On Sunday 16 September members of the KVVAK are invited to join the festive opening of the exhibition ‘The life of Buddha, Path to the Present‘ in De Nieuwe Kerk in Amsterdam (16 September 2018- 3 February 2019). You will enjoy a wealth of ancient objects and contemporary art from artists including Ai Weiwei and Yoko Ono. The earliest object dates from the third century A.D. and the most recent from 2018, since some of the installations are specially created for this exhibition. 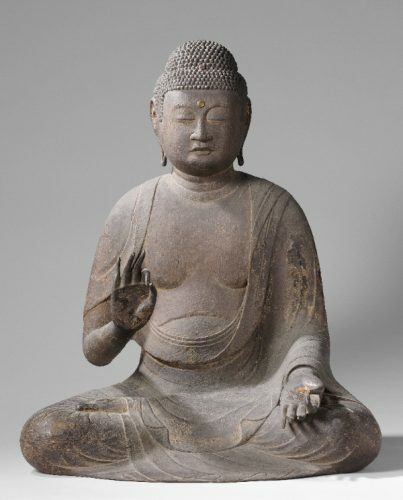 A special selection from the rich collection of the KVVAK will be on display, amongst others Buddha Amida (AK-MAK-294). The opening starts at 16:00and you will have to register through our website.